Posted by While running errands out in Morningville - such a pretty quaint little town! We stopped in St Albert to have dinner before heading home. 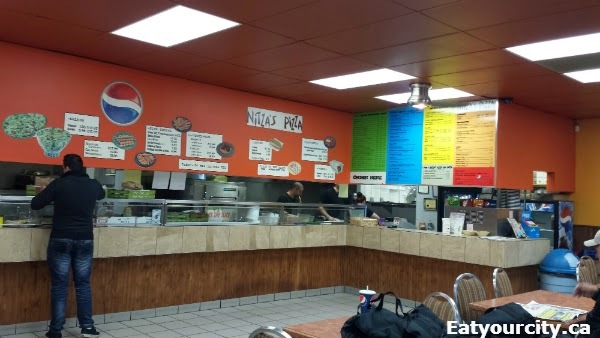 We hit up a local fav - Nitza's Pizza. Its busy busy on a Wednesday night at 7pm. You can see partially into the open kitchen with large ovens flanking the back wall and its a casual cafeteria style order up and pickup... or take out - there was a near steady stream of delivery staff coming and going. The decor isn't fancy.. its like stepping 20 years back in time and you're a kid again, with painted cartoons on the windows, and instead of feeling dated, the pizzeria exudes a quirky old school charm. Staff are super friendly and make you feel right at home. On to the food! There's lots of things on their menu like salads, donairs, pastas, meat loaves and plenty of gluten free items to boot. But we're here to try their pizza and we'll have to try their other stuff the next time we're in the area. 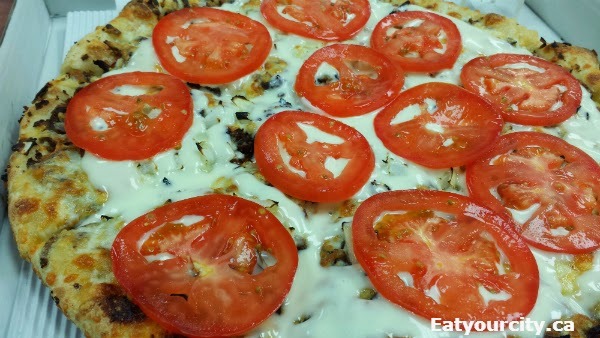 The pizza menu is community, school and group friendly with 2 for 1, 3 for 1 pizza specials. We forgot to buy drinks and the manager kindly offered us bottled water on the house... so nice of them! After waiting for the pizzas to get made, assembled and into the oven, we start with a large 12inch Donair Pizza. 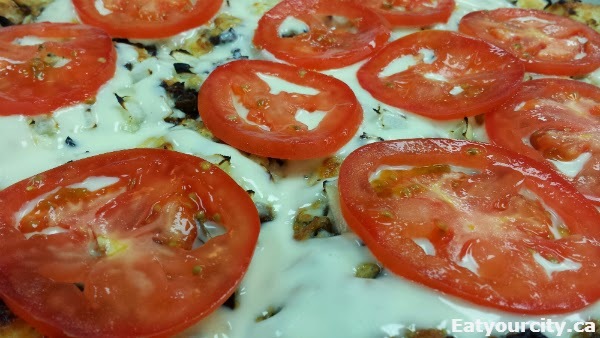 Its a delicious pizza topped with finely shaved/chopped donair meat (would have loved to have slices of donair meat instead), mushrooms and onions all smothered in a ridiculous amount of sweet and garlicy donair sauce and sliced ripe tomatos. 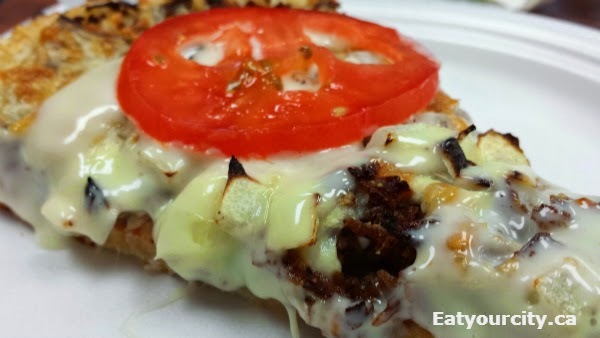 The crust is hand tossed, crispy on the outside with a tender and good chewiness mouthfeel. And yes, since it was just the two of us, this pizza was awesome as cold pizza and we had a lot of leftovers! We also ordered a large Buccini's Deluxe to take advantage of the 2 for 1 pizzas deal. 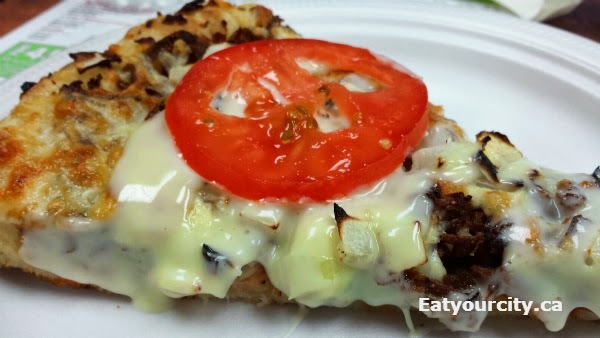 On the same thick crisp crust, this pizza was loaded up with mozzarella, lean seasoned ground beef (surprisingly not greasy! 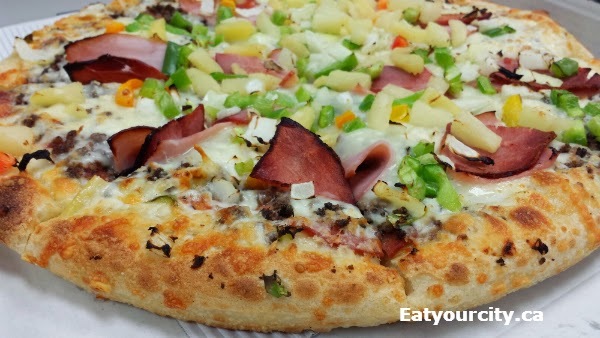 ), cappicoli (think lean ham), pepperoni, pineapple, bacon (yah! ), onions and bell peppers. I really enjoyed the flavors of the Buccini's Deluxe, and the fact the pizza wasn't dripping in grease like many other pizza joints in the city. Super simple, tasty! 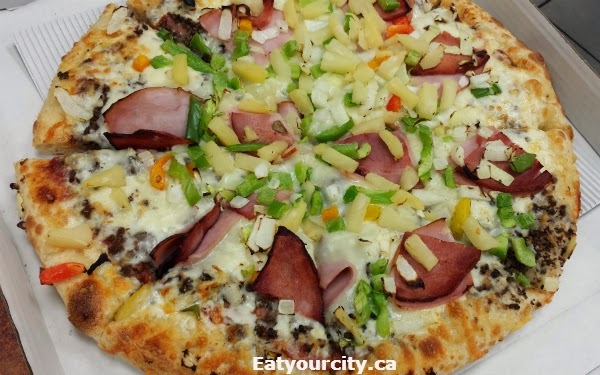 Overall, a great pizza joint with tasty thick crust pizzas, unique and tasty donair pizza and friendly staff that make you feel at home and is definitely worth the time to drop in and have a slice.. or bring lots of leftovers home.